The place to hang your old bike. The goal of the Houston Bicycle Museum is to display collections of antique and classic bicycles as well as exhibiting cycling related memorabilia. The museum covers the spectrum of cycling beginning at its infancy in the mid 1850's and chronicling its evolution through to the most sophisticated of today. More About Us. 50 years immersed in cycling. 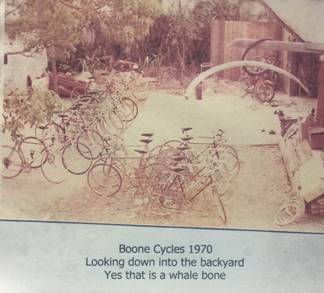 Daniel Boone Cycles is 50 years old! Come celebrate a half century immersed in the world of bicycling. 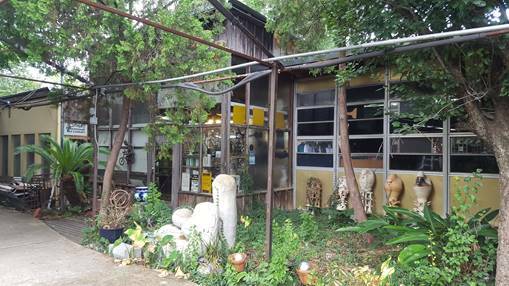 Reminisce, meet old friends, listen to everyone's stories on the open mike, while sipping libations under our shade trees. Visit the Houston Bicycle Museum's special exhibit featuring 5 decades of the bicycling scene as experienced by Houston's oldest bicycle shop. Pass the word around the world, the folks at Boones would love to renew old acquaintances. 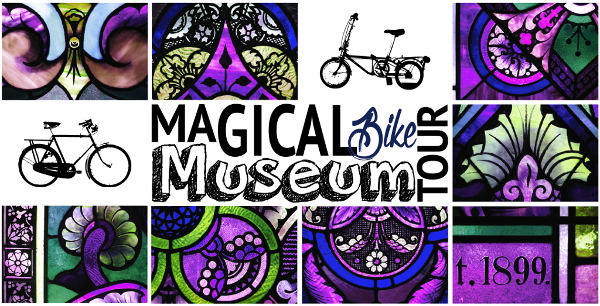 The "Magical Museum Tour" is a fundraiser and social ride for the Houston Bicycle Museum. It features different ride lengths on tree lined country roads as well as far away vistas around the Schulenburg area. There are many ways to take part in the great things that are happening at the city's newest museum. Don't hesitate to stop in today and find out more about volunteer opportunities and supporting membership!